If you wear your heart on your sleeve and appreciate a tall glass of hop-centered brew, Bell's Brewery may win you over with their Two Hearted Ale. This American-Style IPA is made with pure Centennial hops. Those hops are included in the fermenter and the kettle, so it's an understatement to say that hops are the heart of Two Hearted India Pale Ale. You may notice the fruity aroma produced by Bell's house yeast first, but the grapefruit and pine hop notes are unmistakable. If that smell isn't enough to calm your mind and put you in a drinking mood, the ample head of bubbling foam may push you over the edge. Once you bring the glass to your mouth, expect the hops to lead the charge to your taste buds. The grapefruit highlights add a flavorful kick to a malty backbone that does an excellent job taming the hops just a tad. Each sip will end with a final kick of bitterness that tends to linger. With an ABV of seven percent, this is the type of beer that you may want to savor slowly while grooving to good music or talking to someone interesting. Named after Michigan's Two Hearted River, this beer makes wearing your heart on your sleeve rewarding. The Gordon Biersch Brewing Company is the go-to brewery for authentic German brew, and they show their full potential with their Winterbock. This seasonal double bock lager meets all of the criteria for a genuine German-style doppelbock. It starts with the dark color and rich foam that fills your glass when poured. 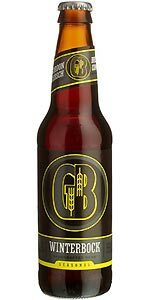 The flavor offers that traditional balance of sweet malts and spicy hops, but the Gordon Biersch brewers balance out the sweetness so that it doesn't overwhelm your taste buds. Utilizing all-natural ingredients, these talented brewers even add an unexpected smoky quality to the complex flavor profile. 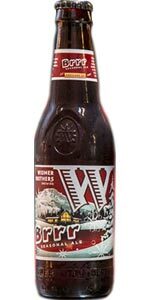 Winterbock is a strong dark beer that boasts an ABV of 7.5 percent. It has an intriguing color when poured into a glass and is the perfect choice when you want to sit back and fully appreciate a brew with layered flavors and enjoyable aroma. It's also a versatile companion for many types of foods, including meals and desserts with rich flavors of their own. While it's not the best pick if you want to tip back bottle after bottle, it is a good partner if you want more impact from one good bottle of beer. When you spend a cold day or evening with Winterbock, every glass ends with a touch of warmth. 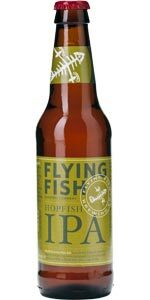 If you want to know what dry hopping does for a beer, pick up a bottle of Hopfish IPA and pay close attention to the herbal finishing notes of each sip. When you pick up on that intense floral finale, you'll understand what dry hopping is all about. This English-style IPA is crafted with Ahtanum Columbus, and Nugget hops, but a blend of Munich, Black Prinz, Two-Row Pale and English Medium Crystal malts are used to put the bitterness in check. The result is a beautifully balanced beer with just enough complexity to make a drinking session enjoyable. The ABV comes out slightly over 6 percent, so it also contains just enough alcohol to grab your attention. Hopfish IPA is available year-round in kegs as well as bottles. When poured into a glass, it greets your eyes with an intense golden color and your nose with floral hop notes tempered by sweet malts. A white head of foam bubbles to the top of the glass, and the flavor is layered with floral and citrus notes from the hops and caramelized sweetness from the malts. While India Pale Ales are known for their hoppy bitterness, Hopfish IPA stands out in the crowd by offering more of that malty goodness. Sip the sweetness and enjoy. Are you up for a little day drinking? 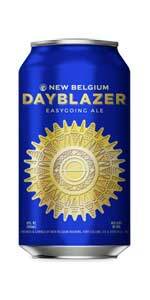 The Brewers at New Belgium call their Dayblazer beer an "Easygoing Ale" because it's light enough for daylight indulgence. It's also a good pick in the evening or late night if you want to keep the alcohol below five percent ABV. This is a sweet Golden Ale that pours into the glass a light, hazy color with a burst of white foam that subsides to delicate lacing clinging to your glass. Day or night, the Dayblazer drinking experience starts with a subtle aroma that may remind you of honey-soaked cereal. You may also detect a hint of herbal hops in the background, but this is a malt-forward beer. The experience continues with a malty flavor profile touched off with honey and flashes of herbal hops. Dayblazer delivers an ending note of sweetness that comes from the combination of Munich and Pale malts. The Brewers balance out that sweet nature with Cascade and Nugget hops, and a touch of honey adds some complexity. When you're craving something sweet but could also go for something slightly smoked, bring home a bottle of Lavaman Red Ale. 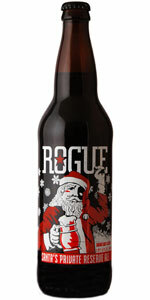 Crafted in Hawaii and distributed year-round, this beer unleashes the sweet malts and presents just a touch of smoke. 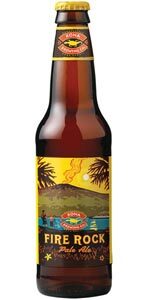 What more could you expect from a beer named after lava? The beer pours into your glass clear with a touch of carbonation and deep copper color. The foam bubbles up to the top lightly tanned and hangs around as you take your first few sips. It sticks around in the form of tender lacing, so you'll always have a friend while enjoying a glass of Lavaman. You can bring out the smoked quality in this beer by combining it with meats straight off the grill or out of the smoker. Add a tangy sauce full of flavor, and you have the perfect pairing. 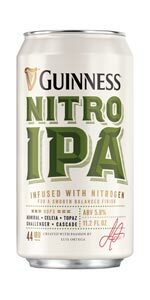 Guinness took the traditional English-style India Pale Ale and made it their own when they created Nitro IPA. The difference between this innovative brew and many IPAs produced by other breweries is a modern process known as nitrogenation. This allows brewers to infuse batches of beer with nitrogen. This creates a smoother texture that slides over the tongue easily and goes down smooth. This mouthfeel is quite different from the prickly bursts of carbonated bubbles that characterize many beers that aren't nitrogenized. When you want a beer that goes down easy and fills you with tasty warmth, Nitro IPA may hit the spot. 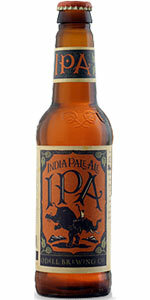 You may also reach for this IPA if you enjoy layered flavor profiles and strong aromas. You'll instantly pick up on a citrusy scent with soft notes of pine in the background. The flavor starts off with a bang of bitter hops and roasted barley and then calms down to reveal hints of citrus fruits. The end result is a tangy brew that has that creamy touch of nitrogen for smooth drinking. That's the benefit of combining a complex blend of hops and finishing it off with a heaping dose of nitrogen. 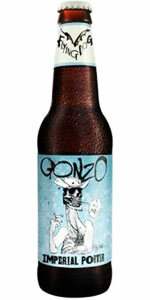 Gonzo Imperial Porter is a dark beer that you serve on a blustery day with a big pot of chili. It also pairs well with barbecue, and it's a great accompaniment to rich desserts. The Flying Dog Brewery does consider it a limited-distribution beer, but that only gives you more reason to jump for joy when you can get your hands on a bottle of this unique porter. The Brewers designed this beer to deliver a bold smack of hops while balancing it out with Black, Caramel and Chocolate malts. The final brew offers hints of coffee and chocolate with a spike of vanilla, and the hops are allowed a strong bark. The Brewers chose a combination of Cascade, Warrior, and Northern Brewer hops to create this flavor profile, and they used two strains of yeast to ensure all of those flavors make it onto the stage. With 9.2 ABV, this beer may put on a performance that you'll remember in the morning. That performance also won the Flying Dog Brewery a 2008 Euro Beer Star silver medal, a 2008 World Beer Cup gold medal, and a 2009 Great American Beer Festival gold metal. Pouring dark brown with a satisfying heap of foam, this is one brew that can warm you up or help you chill out at stressful moments. Everything is better with chocolate, and this complex IPA is no different. When the Santa Fe brewers wanted to create an approachable beer that would appeal to beer lovers around the world regardless of age, gender, social status or taste preferences, they knew that a touch of chocolate would go a long way. They also created a sleek black can with an interesting cross design that stands out on the shelf even when surrounded by competitors. They ended up with a Cascadian Black Ale that won a gold medal at the North American Beer Awards in 2015. Black IPA has scored several additional awards for the Santa Fe Brewing Company, so it's the perfect pick if you want to experience the intensity of an award-winning dark beer. 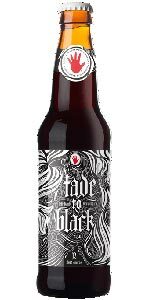 This ale pours a lustrous black color with some reddish highlights in the right lighting. Tan foam will rise to the top of your glass, backing down to light lacing as you start to sip. If you had to describe Black IPA in one word, "complex" would fit nicely. The blend of Midnight Wheat, Crystal, Two-Row Pale and Chocolate malts infuse the beer with sweetness, but the hops won't back down. With a combination of Amarillo, Eldorado, Columbus, Simcoe and Citra hops, you can expect some bitterness layered around the sweetness. It's easy to overindulge in anything chocolate, but remember that this beer has an ABV of 7.1 percent. 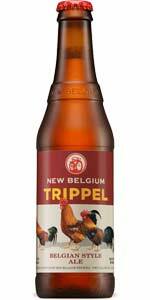 When you need a bit of complexity in your life, pour a tall glass of Trippel from the well-seasoned brewers at New Belgium. This Belgian-style Ale sticks to its roots by incorporating an authentic Belgian yeast and just a touch of coriander for a unique taste and aroma. The alcohol content is stiff at 8.5 percent ABV, but the golden color lightens things up with a sassy sheen and a hazy coat. If you enjoy a tall layer of thick foam and a generous helping of lacing that sticks around sip by sip, make sure to bring out your favorite beer glass when you spend time with Trippel. The hops are the dominating force behind this hearty beer. This is no wonder, considering the recipe combines Saaz, Target, Liberty and Hallertau Mittelfruh hops. This bold hoppy character is balanced out with a combination of Pilsner, Pale and Munich malts and that light touch of coriander. This is a smooth beer that gets lively with alcohol, but it's also a complex brew with layers of flavor. It's time to bring on the spice. 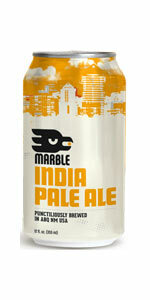 The Marble Brewery steeped their India Pale Ale with six varieties of hops to create a bitter experience that blends well with spicy foods. 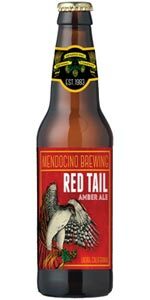 Bring this beer out on Mexican night or simply enjoy it while kicked back in your favorite chair on a stressful evening. The hops will help melt away tension and free your mind to relax, starting with the intense aroma that fills your nose with citrus highlights. A combination of bittering and aromatic hops ensures that the aroma is followed by a flavor that is just as intense. Tropical fruits take the front seat, but the bitter hops make their appearance to create a well-balanced brew that will have you reaching for another and another. The Marble Brewers selected Mosaic, Centennial, Citra, Chinook and Simcoe for the dry hopping process, but they also added Chinook, Citra, Cascade, Centennial and Mosaic hops to the kettle. With Two-Row, C-60, and C-30 malts, this American Ale takes on a distinctive flavor that may induce a craving for a tropical vacation. With nearly 7 percent ABV, it also packs enough alcohol to wash your cares away in a light, golden wave. It's always a good day to bring on the spice. 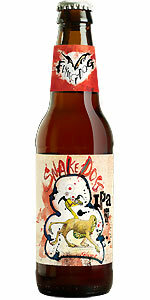 Like many India Pale Ales, Snake Dog IPA pairs well with any spicy food while balancing beautifully with high-fat meals and rich, creamy desserts. That versatility has made this style of brew quite popular, but the 7.1 percent ABV may give you a few other reasons to pop open a bottle and drink up. 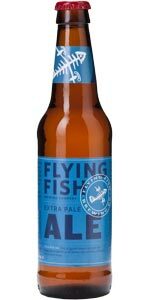 Brewed in Frederick, Maryland, by the Flying Dog Brewery, this is a simple beer crafted from American Ale yeast, Caramel malts and a combination of Columbus and Warrior hops. It pours a clear copper with a load of carbonated fizz, and then a tall crown of off-white foam forms across the top. This crown gives the brew an enticing appearance, and it hangs around with lots of clingy lace almost to the last sip. Once you've admired the beauty of this American Ale in your glass, the aroma and flavor are waiting for you. This brew is steeped in grapefruit and other citrus influences, but the pine notes add complexity, and the hops make a bitter appearance throughout. The base is clearly caramel malts, but the medley of additional flavors will keep you sipping and savoring every drop in your glass. Prepare your taste buds for the zip of hops and the boozy finish that comes with each gulp. 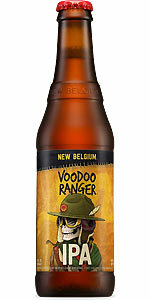 New Belgium created a winner when they came up with their Voodoo Ranger IPA recipe, but they didn't stop at just one top-selling recipe. They pumped up the original beer to include eight strains of hops, intensifying the fruity flavor that comes from those green buds. This also puts the bitterness on overdrive, giving this pale ale a distinct flavor from the brewery's Voodoo Ranger IPA. The result was their Voodoo Ranger 8-Hop Pale Ale. When you pour this bright orange beer into your glass, it bubbles up with a fluffy white head and offers a tropical aroma. The scent unleashes a mix of grapefruit, guava, and lemon. You may also detect some stone fruit aromas along with herbal hop notes and hints of caramel malts. The flavor holds true to the standard Voodoo Ranger IPA beer. It starts out sweet, but the bitterness grows as the beer coats your mouth and warms your throat. Due to the intensified load of hops, Voodoo Ranger 8-Hop builds to a sour note that will have many hop lovers on the edge of their seat. Overall, the flavors are well-balanced, and the brew is perfect for long drinking sessions when you just want satisfying flavor and enough alcohol to bring on the good times. 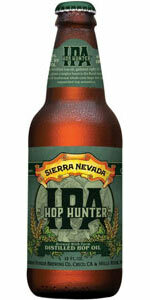 When you fill your glass with Sierra Nevada's Hop Hunter IPA, the hops take center stage. This is a cutting-edge brew that utilizes steam distilling to intensify the flavor and aroma. Bravo hops provide the bitter touch while Cascade, Crystal and Simcoe hops deliver the finishing touch. The catch is that the hops are distilled with steam while still out in the field. It creates a wet brew that allows the hops to shine with their most intense flavor. The brewing process also incorporates three malts, including flaked oats and caramel. What about pure hop oil? That's included as well. This is a great IPA to enjoy with dinner because it pairs well with grilled salmon, barbecue, and roasted peppers. The intense flavor of bleu cheese matches as well. 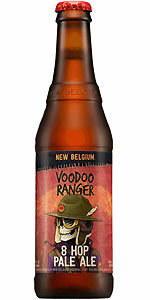 Voodoo Ranger IPA may start off light and sweet, but keep sipping. The bitterness grows as the flavor settles in your mouth, delivering a hopped-up experience that won't overwhelm most beer drinkers. This golden brew offers a generous tropical aroma with grapefruit and orange dominating floral, grass and toasted bread undertones. 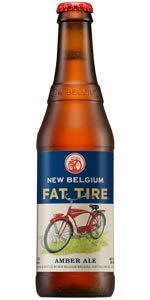 Add a medium head of white foam that lingers as you empty your cup, and you have an India Pale Ale suitable for the prestigious New Belgium Brewing Company lineup. It boasts 7 percent ABV, so it's not as light as that first sip might lead you to believe. The star of Voodoo Ranger IPA is clearly the hops. The Brewers selected a combination of Mosaic and Amarillo hops to deliver the bitterness that beer enthusiasts expect from a good India Pale Ale. While the sweetness of the malts may form your first impression of the brew, you're likely to think more of the hops by the third or fourth sip. This is the perfect beer for lazy afternoons and relaxing late nights. Kick up your feet, and allow the bitterness to grow on you. Virtually every brewery has their own version of India pale ale at this point, but the Odell Brewing Company gives their IPA a unique spin by infusing it with American character. They do this by integrating nine types of American hops into their well-tested recipe. To make that work, they have to introduce hops into every phase of the brewing process, including fermentation. The end result is a hoppy beer that is tamed by just the right combination of Vienna and Pale malts. Their goal was ultimately to create an intense aroma with a smooth, well-blended flavor, and you might agree that they succeeded once your nose catches a hit of the citrus-laced floral aroma that escapes from every bottle. Finish it all off with a creamy white crown of white foam, and it's easy to see how this IPA could give you a hop high. A little sweet. A bit of sour. A gigantic bang of lingering bitterness. When you want a highly drinkable beer that you can pop open and drink without drama or too much complexity, reach for a bottle of Whizbang Hoppy Blonde Ale from the New Belgium Brewing Company. The brewers deliver the bitter whiz in every bottle by dry hopping Centennial, Mosaic and UK Admiral hops. This creates bold fruit flavors and aromas, starting with mango and lemon but adding in some blueberry notes. A hint of pine may jump out at you as well. 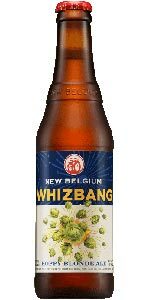 The brewing process for Whizbang also includes Simcoe and Nugget hops, and they throw in a combo of Munich, Pale and Caramel 80 malts. It's the Mosaic hops that deliver the boldest punch of bitterness when you take a sip, but the malts are strong enough to tame the whiz, creating a bitter beer that you can drink easily. Pop open a bottle and enjoy the bang when you're ready to relax, when it's time to celebrate or when you simply want to share a flavorful drink with someone special. If you want to see something golden bubble over with white foam, pour the Whizbang into a glass. Some of the best things in life never change. In 1997, the Great American Beer Festival awarded Honkers Ale their gold medal in the English bitter division. Nine years later, the brew won bronze in the World Beer Cup Awards. More than a decade later, beer lovers are still giving it the title as their preferred English-style bitter. They appreciate that it pours into the glass with a golden sunset hue and goes down smooth with a hint of malted biscuit. Brewed with four malts and three leading hops, this is a light English bitter that will continue to please taste buds around the world. With a delicate blend of Golding Celeia, Pilgrim and Styrian hops, you might agree that this is one of the good things that never change. Do you believe that it's always a good time to drink? If so, you may want to keep a few bottles or even a keg of Monkey Fist India Pale Ale around the house. 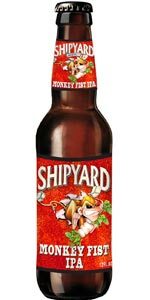 The Shipyard Brewing Company crafted this beer to fit into your daily life as well as those special occasions that make your world exciting. With an ABV rating of nearly 7 percent and an intense kick of hops in every sip, this is a powerful beer that you will remember drinking. It's also a well-balanced brew with a complex flavor profile and rich aroma. It's the kind of beer that you can savor while watching a ball game or that goes well with hot dogs and potato salad in the summer. It's versatile, so it helps you through lonely nights as well as all-night raging parties. Monkey Fist IPA pours into a glass with a deep orange color often referred to as copper. It rises up with a hearty foam and delivers an aroma on par with a handpicked bouquet of wildflowers. It's brewed with Cascade and Chinook hops, and you taste their bitter presence at the front of every sip. The balance is created by a combination of Caramalt, Munich, Two-Row British Pale Ale, Crystal and Malted Wheat malts. Add a Top-Fermenting English yeast, and you have an IPA that is in demand regardless of the season. 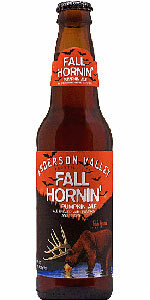 You'll find the Anderson Valley Brewing Company in Boonville, California, but you'll have to visit in the fall to taste their Fall Hornin' Pumpkin Ale. You can also find it in bottles or include it in a fall beer gift basket right here. While this is a true pumpkin ale that delivers aromas of traditional pumpkin pie spices like nutmeg and cinnamon, those scents are the undertones. The more prominent aroma is baked bread with noticeable caramel malts. It presents with a full body and a deep copper color, and foam lovers appreciate the creamy head that rises to the top of every glass. Brewed from a blend of six malts and Bravo hops, it delivers a silky texture with the sweetness of caramel and the zing of hoppy seasonal spices. Fill your cheese platter with brie and aged cheddar, or combine this brew with a hearty chili. If you could have visited Bend, Oregon, in the late 1980s, you may have spent some time perched on a bar stool inside a small pub house in the downtown area known as Deschutes. This small family startup had humble beginnings, but it also had passionate and creative beer enthusiasts standing behind it with great hopes for the future. 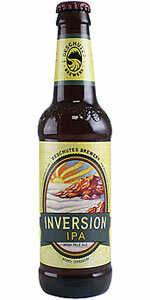 Today, that small pub has transformed into the popular Deschutes Brewery that is known for making interesting beers like this Inversion India Pale Ale. They started with whole-flower hops guaranteed to infuse the final product with a strong floral aroma and a blended flavor with the slightest kick of bitterness. The foundation of this IPA is a mix of six hops varieties, and that foundation is perfected by Caramel, Munich and Pale malts. While it wasn't brewed to please everyone, it's a sure hit for any beer drinker who appreciates their hops. 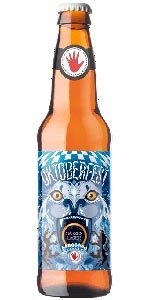 The Odell Brewing Company didn't plan on bottling their German-style Oktoberfest brew for the mass public. 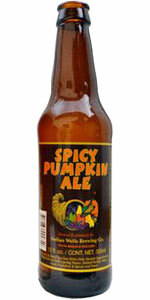 It started as a seasonal beer that they created for their pub visitors only during the fall season. Year after year, consumer demand ensured that they would tweak their recipe and produce another small batch for their fans. It wasn't until 2014 that the brewery filled 300 barrels with their bestselling amber ale. The result is a smooth, balanced pumpkin ale that places emphasis on Munich malts. Herbal Noble hops is the remaining ingredient, and the end result is a sweet brew that goes well with pretzels and other salty snacks. It's also the perfect companion to a bratwurst, or you can simply take it outside and sip it alongside the camp fire. Just make sure to do this before the trees are completely bare because this microbrew is only available in the fall. 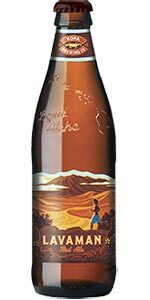 The Indian Wells Brewing Company is located in "the middle of nowhere," California. This brewery is best known for using pure artisan spring water as the foundation of every microbrew produced. They make their Spicy Pumpkin Ale during the fall months only, and it's worth the try if you don't enjoy thick layers of foam coating your beer. This slightly sour ale pours into your glass with a deep orange color that holds true to its pumpkin roots, and then a thin layer of foam comes to the head for just a moment. Many fans enjoy the spicy aroma of cinnamon and cloves while others are taken aback by the interesting flavor. While the taste of typical pie spices like nutmeg and clover are apparent, this spicy ale offers prominent sour overtones that you won't miss. 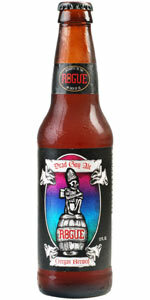 Bring out the Dead Guy Ale when you're ready to add a little spice into your life. Rogue set the bar high when they decided to create a create a beer that delivers the intense aroma of malt, well-balanced flavor with a delicate mix of fruits and spice, and a deep amber color with an eye-catching red tint. This is a brew that you won't find competitors replicating easily because it uses two trademarked hops: Rogue Farms Revolution™ and Independent™. The mix of five malts also includes two trademarked ingredients: Rogue Farms Dare™ and Risk™. The recipe also calls for free-range coastal water and Rogue's proprietary Pacman yeast, so this is about as close to unique beer as you can get today. While you can enjoy a bottle of Dead Guy Ale any time of the day and on any occasion, it's a great complement to spicy dishes. It's also a great selection for pork dinners. Have you ever taken a bite of pumpkin pie and wished that you could bottle it up to enjoy over and over again? 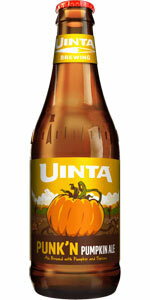 If so, Uinta brewing created a seasonal ale that allows you to do just that. It's called Punk'n Pumpkin Ale, and it's brewed with the ingredients that you would expect from any great pie, including cinnamon, nutmeg and just the right amount of all-spice. The recipe also calls for real pumpkin, so you get authentic flavor with this fall brew. Whether you enjoy this beer by lifting the bottle straight to your lips or you take the time to pour it into your favorite glass, you'll notice the intensely pumpkin aroma right away. With body on the light side and a taste that will make you think of Thanksgiving, it's no wonder that Uinta won a silver medal at the 2010 World Beer Championships with this recipe. 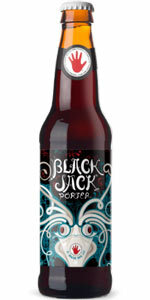 If splurging on a rich chocolate espresso sounds like a good idea right now, then picking up a bottle of Black Jack Porter is an even better idea. Brewed by the creative Left Hand Brewing Company out of Longmont, Colorado, this is an English-style porter that will knock any coffee-lovers socks off. It starts with a combination of five malts, including chocolate. U.S. Goldings and Magnum hops are added to bring an herbal essence to the flavor. The end result is a rich aroma that will instantly remind you of your favorite coffee shop and a sweet flavor that is good enough to count as an indulgence in chocolate. It pours into your glass with a deep brown hue and washes down smooth with a nutty taste finishing off every sip. Regardless of what you plan on serving for dinner, this brew can serve as your dessert. 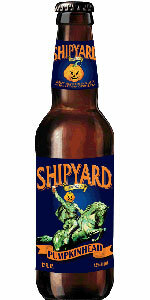 When the Shipyard Brewing Company created the recipe for their Pumpkinhead Ale, they didn't expect their fans to simply enjoy the occasional bottle in their favorite brewery. They wanted to create a pumpkin brew so exceptional that their fans would cook with it and stir it into seasonal mixed drinks. They also recommend coating the rim of your glass with cinnamon and sugar before taking the first sip. With a crisp taste that most find refreshing, it's still acceptable to just open your bottle and start sipping. You may just want to sip a little faster so that you can enjoy this brew before it goes out of season. It's available between August and November only, and the spicy aroma makes it the perfect companion on a cold fall night. Due to a combination of Willamette and Saphir hops and a blend of three malts, it comes with a punch of spice in the flavor as well. Liven up your fall with a glass of hoppy holiday fun. This is the season to infuse your living space with the scent of fresh pine, so why not try an ale that hits your nose with a blend of pine and citrus fruit? Celebration Ale fills your glass with a rich reddish-brown color, and it bubbles to the top with a thick layer of light brown foam. After your nose has indulged in the intense aroma, your mouth will celebrate with a taste that can only be created with the blend of fresh Chinook, Cascade, and Centennial hops. Add caramel and two-row pale malts, and you have an American IPA good enough to serve with a holiday dinner. Thanks to the rich, complex flavor, it's also the perfect companion for rich cheese. 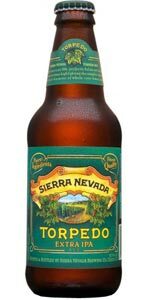 Sierra Nevada has been brewing this bold Celebration since 1981, and their fans now look forward to it's seasonal release. 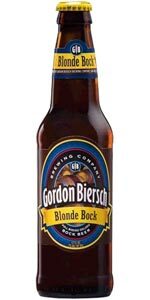 A beer brewed by Gordon Biersch Brewing Company, the Blonde Bock is represented by a male goat that in German lore represents strength and virility. Bock Beers must have a pre-fermentation malt sugar. Strong beers made popular in the 1600's by monks to minimize hunger during fasting periods. While most hocks are dark, Bold Bock is golden-colored and malty with a rich, creamy head. Some people now dare to wear white after Labor Day. Others dare to drink white brew in the winter. 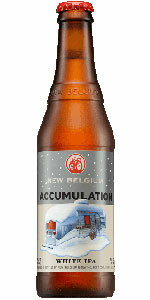 If the rebel within you wants to do something daring as well, indulge in Accumulation White IPA after Labor Day. The New Belgium Brewery created this unique IPA because they wanted to revolt against the traditional rule of drinking dark beers during the dark days of winter, but they also wanted to celebrate the beautiful snow that covers Colorado every winter. It will fill your glass with liquid sunshine because it is literally the hue of a golden sunset. There's just one warning to consider before filling up your glass and watching the fluffy white foam rise: this is a hop-strong brew. With a delicate blend of citrus, tropical fruit and herbal hops, it offers a bold burst of bitter with just enough sweet to take off the edge. When the holidays drive you to drink, dip into Santa's Private Reserve. You'll want to do this in dim lighting so that you can see the snowflakes glitter across the front of each bottle. The double-hopped red ale stays true to Santa's roots by offering an intense red color and the satisfying flavor of roasted malts. You can pair it with any dinner that stars beef or pork, or simply relax by the Christmas tree and enjoy a bottle as the colorful lights twinkle around the room. You'll know that this is a Rogue Brewery product when you taste the fine blend of trademarked malts, including Rogue Farms Dare™ and Risk™. Four other malts are thrown into the mix along with Freedom, Rebel, and Rogue Farms Newport hops. The end result is a malt-licious brew that finishes with the fresh taste of spruce. 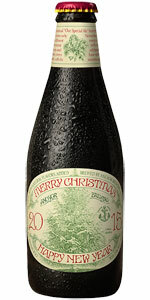 If you're wondering how they do Christmas in San Francisco, satisfy your curiosity by looking at a bottle of Christmas Ale from Anchor Brewing. Each year, they present a new style of Christmas tree on the front label, so you get a piece of artwork with every brew enjoyed. They also change the recipe every year, so there's no telling what you may discover when you crack open that first bottle at the beginning of a new holiday season. The brewing begins in early November, and this seasonal ale goes off the market by the end of January. You can do your research to discover what variety of hops and malts are included in this year's ale, but that's one curiosity that will go unanswered because the brewers consider that information top secret. When Old Man Winter comes knocking, warm him up with a glass of ale that has won 13 gold medals since its first brew in 1988. The Old Man will appreciate the delicate blend of well-chosen hops and malts, which are selected each year to create the perfect seasonal recipe. You can expect rich aromas with the best dark flavors like chocolate paired with lots of caramel. You can also count on a deep color that may remind you of mahogany wood. With a full body that is rich in malts and a finish full of the hops, Full Sail created their Wassail Winter Ale to provide the warmth that you can otherwise only find when cuddled up to a fireplace. Whether you have a fire crackling nearby or not, this is one brew that will provide comfort from the first whiff of the aroma to the final sip from the bottle. This beer is only available from October to December, so hurry and toast in the new year with Old Man Winter. The Nebraska Brewing Company has named this one of the bestsellers in their brewpub, and it may turn into your favorite as well. The brewing process includes an extra hopping with loads of Cascade hops. This brings out a strong floral aroma with hints of citrus. It has a golden color that appears crystal clear as you pour it into your glass, and the flavor is a bit on the bitter side. With a combination of several leading malts, this microbrew is destined to become a favorite. Fat Tire Amber Ale is one brew worth taking the time to pour into your favorite glass. The clear liquid features the pleasant sparkle of carbonation infused with a touch of amber red coloring. It starts off with a thick head of cream-colored foam that falls into light lacing as you work your way through the glass. 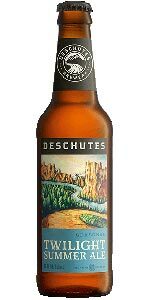 Brewed in Fort Collins by the New Belgium Brewing Company out of Colorado, this beer includes flavorful ingredients like green apple and fennel. You can smell hints of fruit and herb when you open the bottle, so the aroma is just as pleasurable as the flavor. With a mix of Willamette, Nugget and Goldings hops, you get a touch of bitterness that easily balances the power of Victory, C-80, Pale and Munich malts. The result is a light beer with intense flavor that finishes sweet and leaves you craving one more sip. If you infuse your brew with Citra hops and nearly balance out the malt, you'll come out with something similar to this popular India Pale Ale. While it's brewed in true IPA fashion, the Nebraska Brewing Company has declared it "beautifully Nebraskan." That's true if you associate Nebraska with a medium mouth-feel, intense flavor and a hint of bitterness that goes down easy. You know you're enjoying the Nebraskan IPA when you pop the top and smell the blend of pine, citrus fruits and flowers. Add exceptional lacing as the foam rises to the top of your glass, and you have a celebration-worthy IPA. When the trees start to shed their leaves, great things come out of the tap. 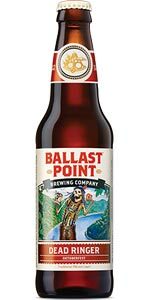 This is the season of Oktoberfest beers, and the Ballast Point Brewing Company offers one of the best with their Dead Ringer Oktoberfest Lager. If you enjoy a beer that oozes sweetness from the moment you open the bottle or lift the glass to your lips, this cold-fermented lager may become your new fall favorite. The brewers chose German Noble, Munich and Pilsner hops because of the sweet aromas that they contribute. They also provide a spicy background for the brown sugar and toasted malts, producing a flavor that smacks of caramel and molasses. While it tastes great from the bottle, pour it into a glass to enjoy the deep copper color that veers toward orange in the right light. It's the perfect way to toast in the fall season, especially if you enjoy the coarse foam that delivers a sugary taste and then slides back to the finest lacing. 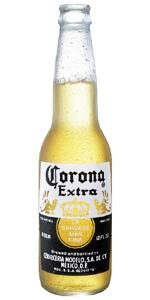 Corona Extra is the beer you drink when you're ready to have a good time. It's the perfect companion to backyard barbecues, and you want to bring it along when you head off to the beach or for a picnic in the park. It's also a great way to relax at home either alone or with friends. 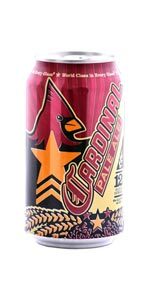 A bestseller in the United States since 1981, this brew was originally introduced in Mexico in 1925. It has risen to the top of both markets and is now America's best-selling imported beer. 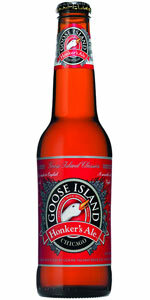 It also beats out many beers brewed right in the U.S., so the blend of malted barley, corn and hops is a proven winner. While you may think of Corona Extra as sunshine in a bottle due to its light flavor and golden yellow color, it has just as much potential to brighten your day in the dead of winter. 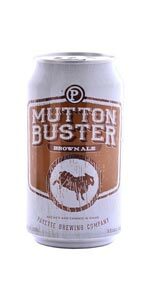 When the Payette Brewing Company created their Mutton Buster Brown Ale, they created a lighter brown ale that is just as enjoyable in the summer as it is the winter. They load the brewing process with a hearty blend of malts, creating intense color that predicts the strong flavor about to hit your taste buds. You can detect the earthy tones of Magnum and Mt. Hood hops when the aroma hits your nose, but it's balanced beautifully by sweet cocoa and toasted nuts. With a hearty cap of foam, Mutton Buster is determined to satisfy. 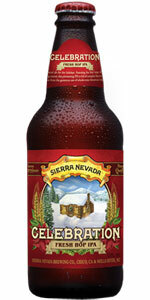 Sierra Nevada Pale Ale has a deep amber color and full-bodied flavor with a complex character. Find a fragrant bouquet and spicy flavor with the best use of Cascade hops. Delightful and classically made in Pale Ale form. What happens when you combine Mangum and Summit hops with seven exceptional malts? 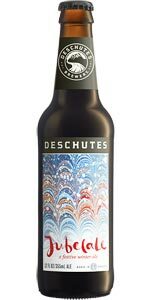 You come up with something like this full-bodied porter created by the Payette Brewing Company. The malt combination includes chocolate and midnight wheat, so the deep brown color isn't shocking. Neither are the aroma of roasted coffee or the slightly bitter flavor. 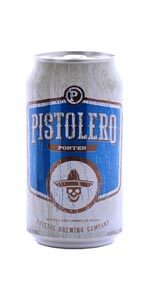 When you're ready to crank up the intensity in your drinking life, a tall glass of Pistolero Porter will do the job. A full-bodied robust beer with a well-balanced combination of a Pilsner maltiness accentuated by German yeast. Winner of many awards including Best of the Rockies, Southwest Region in the US Beer Tasting Championship for Pale Ale category. Unique for an American Pale Ale made in New Mexico! 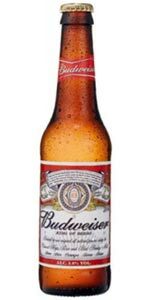 Budweiser took its place as leader of the American brew market in 1876, and it's known as the "King of Beers" to this day. You don't reach that level of notoriety and hang onto your designation as an industry leader for so many years without elevating your craft to a level that isn't easily duplicated. Anheuser-Busch does that by carefully selecting the best six and two-row barley malts available in the United States and Canada. They add a carefully-selected mix of the finest hops to create a flavorful beer with medium body. With high standards that remain consistent throughout the years, this careful selection of ingredients is the recipe for turning a great beer into a national statement. You wouldn't expect anything less than perfection from the king of the American beer industry, would you? This is the perfect beer for any party, but you may enjoy it with a bag of pretzels or chips when relaxing at home as well. 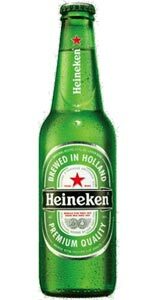 A Dutch brewer that is an old school classic from 1864 originating in Amseterdam as of today this popular beer is simply made of purified water, malted barley, hops and yeast. A winner of four awards this is an all time classic! 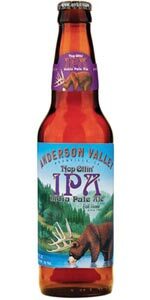 Brewed in California by the Anderson Valley Brewing Company, Hop Ottin' IPA is the beer that you bring out when your meal or snack packs intense flavor. 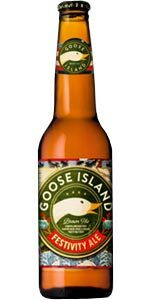 Since it's brewed with an overdose of Cascade and Columbia hops plus a blend of Pale Two-Row, Crystal, and Munich malts, it can easily complement salt, garlic and a variety of strong spices. With a bold amber color that is slightly hazed and a thick head of orange cream that lingers in the form of lacing on your glass, this brew can put you in a better mood from the moment you begin to pour. The taste of bold malt combined with subtle bergamot and rose undertones makes this a beer that you may enjoy regardless of the season. Whether you're drinking while snowed in or on the banks of a river while fishing, this is the IPA to keep you hopping. 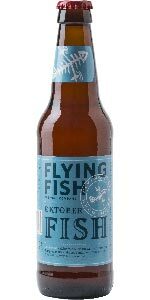 A tribute to Germany's classic Oktoberfest the O'Fish infuses European malt hops and yeast. A savory malt with nice hop flavor with a beautiful red color. A great beer with foods! 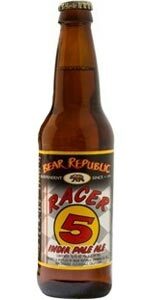 With four medals from the Great American Beer Festival, a World Beer Cup silver, two gold medals from the California State Fair and recognition from the Great International Beer Competition of 2011, Racer 5 India Pale Ale is one of the most decorated beers on the market today. 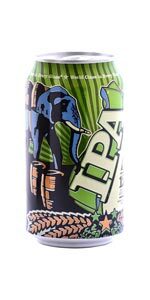 Bear Republic Brewing knew what they were doing when they decided to create an IPA that would highlight the floral notes produced by the blend of Cascade and Columbus hops. They chose just the right malts to bring out those floral highlights, including crystal, barley, and wheat. The end result is a satisfying beer that is easily combined with a variety of seafood and poultry dishes. You can also set it out with your cheese platter because it goes well with cheddar and other cheeses with spicy or sharp flavors. Find toasty malt flavors that dominate the hops and leading to a spicy and superbly clean lager finish. Biscuity, malty goodness that dominates upfront while the noble pedigree hops lend a properly, spicy dry finish. There are few breweries with the rich history enjoyed by Guinness. First introduced in 1759 by a brewer named Arthur Guinness, the company was launched with the still-popular Guinness Draught. Once known as the largest brewery in the world, Guinness remains the most prolific producer of stout in the world. Their Extra Stout brew is enjoyed by fans around the world while other varieties like their Foreign Extra Stout are consumed in select countries. 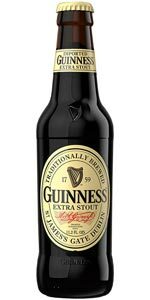 The alcohol content varies, depending on the country in which it is sold, but you can always expect that intense flavor that has distinguished the Guinness brand for decades. That flavor was once produced through the process of aging, but it's unclear what procedures the brewers may follow in modern times. What you can always depend on Guinness to deliver is a tall crown of creamy foam followed by smooth beer that is drinkable from January to December. 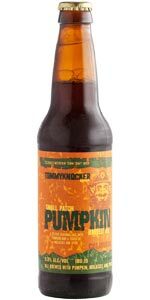 Small Patch has a malt style background with a real pumpkin flavor and hints of spice and molasses. . It is a hearty brown ale ideal for fall celebration. What happens when the sun gives way to night and you want nothing more than to fade away along with it? You reach for a bottle of Fade to Black foreign stout and watch the black goodness roll along the sides of your favorite glass. The Left Hand Brewing Company created this dark brew because they know that life is crafted from intense lows that eventually give way to brighter days. While you wait for the next wave of happiness to come, you may feel right at home with the dark notes of molasses and licorice presented in this complex beer. Each glass will reward your nose with the aroma of dark chocolate and a slightly bitter aftertaste that may suit your day. If this turns into one of your bad day favorites, you aren't alone. The World Beer Cup awarded Fade to Black the Gold Award in 2016, and the brew has won three gold medals from the Great American Beer Festival. A brand that is traditional in brewing style this Ale has an amber and rich flavor with a final touch of crispness. Perfect complement to fine dining any time of year. 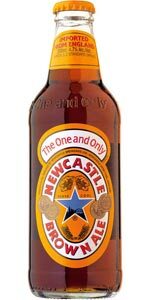 While the first batch of Newcastle Brown Ale was brewed by Jim Porter in England's Newcastle upon Tyne, the modern version is produced by the well-respected Heineken brand. This is a beer that has survived the closing of multiple breweries because the recipe was just too delicious to let die. It starts off with a dark amber color and a tall head of off-white foam, but it's the sweetness of the caramelized malts that will linger on your lips between sips. You can always count on Newcastle Brown Ale to leave a lasting impression, encouraging you to drink slowly and savor the experience. If you prefer your ale brown and mysterious, you're likely the perfect customer for the nutty aroma that precedes the rich flavor of this intense dark ale. While the revolution began in Newcastle, it continues around the world today. Refreshing style with a crispness is characteristic of this Pale Ale! Hawaiian style with a copper color and unique blend of specialty roasted malts! Terrific with a variety of foods such as heartier dishes and BBQ! Fire Rock stands for a crisp taste that also works well with lighter dishes. 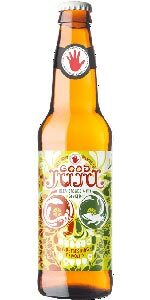 When you first take a whiff of Good Juju from the Left Hand Brewing Company, you may notice a spice that you don't recognize right off. After your first taste, you may ask "what's that?" What you're picking up on is the star of this award-winning seasonal light ale: ginger. The brewers use only high-quality, organic ginger, and they add it to the brewing process in just the right amount to create that distinctive flavor and a pleasantly spiced aroma. You also can't miss the hint of malty sweetness, which is produced by the inclusion of flaked barley and a blend of Munich, Crystal, and Pale Two-Row malts. Add Sterling, US Goldings, and Centennial hops, and you see why this brew was declared the Best of the Rockies at the 2007 United States Beer Tasting Championships. When you need to relax for a moment and refresh, the kick of ginger in this brew may do the job. An Extra Pale Ale with sophisticated flavors and imported malt punch! 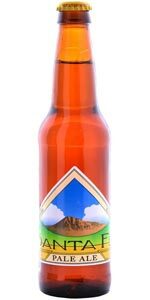 Pacific Northwest is an original American pale ale that is balanced beautifully with a warm straw colored hops. Try with spicy, fish, pub food and grilled foods! Do you like your fall beers rich and malty with a bitter hop ending? If so, you may enjoy a tall glass of Beck's Oktoberfest Lager along with your sausage or a heaping bowl of hot chili. 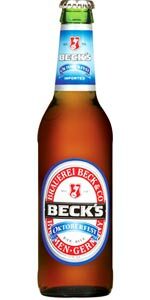 The Beck family brews this beer in Bremen, Germany, but they allow Anheuser Busch to import and distribute some of their products throughout the United States. This gives Americans direct access to an authentic German lager brewed with a select variety of hops, high-quality barley, glacier water and a unique yeast cultivated by the brewers. The first thing you may notice is the dark copper color and thin white head that fill your glass. Next comes the bubbles and the sweet flavor of malts. It all ends with a subtle punch of bitter hops, so the overall effect is rather balanced. Crack open the Oktoberfest Lager whenever you want to relax because this is a beer that you can enjoy one bottle after the other. 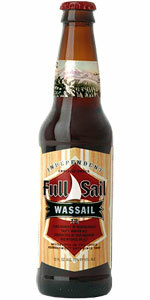 Full Sail Amber is a sweet medium-bodied ale with a spicy-floral hop finish. 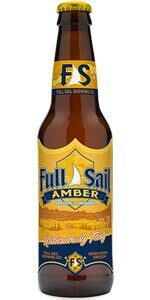 A winner of 18 Gold Medals this Amber ale was Full Sail's first craft beer. Brewed with Pale, Crystal and Chocolate malts this one is a craft beer worth bragging over. 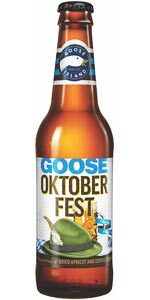 Goose Island put Hallertau hops in the spotlight when they created their Oktoberfest beer. This is the only variety of hops used to brew this traditional Märzen beer, and you can taste their earthy bitterness in every sip. That bitter touch is balanced by a combination of Carapils, Two-Row, C-20, C-40, C-120 and Munich 10 malts. Add the sweetness of dried apricots, and you have a beer that features a dry body and hoppy bitterness with caramel and toffee undertones. When you first open a bottle and start pouring into your glass, your nose may detect a complex aroma that blends the sweetness of sugar with subtle earthy tones. You can expect a similar experience in the flavor, since the hearty contribution of malts is tenderly balanced by the heaping serving of Hallertau hops. When you need more than one beer, this is a drinkable option that you can enjoy with or without a satisfying meal. 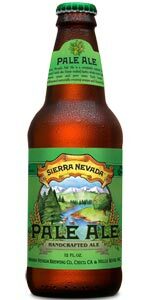 Sierra Nevada features a "Hop Torpedo" - a super charged dry hopping device to control the hop aroma without adding bitter edges. Torpedo Extra IPA is a balanced beer with citrus, pine and tropical fruits. 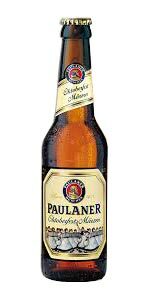 When you think of a golden Oktoberfest beer, Oktoberfest Marzen from the Paulaner Brewery may come immediately to mind. This is one of the most popular Oktoberfest brews in Germany, and the brewers created the recipe just for that massive street festival. They included Munich and Pilsner malts along with a combination of Herkules, Hallertauer Tradition, and Taurus hops. This delivers a mild flavor from the blend of light and dark malts, but every sip ends with a kick from that strong hop combination. The end result is a well-balanced beer that encourages you to kick back and enjoy a bottle with your favorite Oktoberfest foods, including the best sausage you can find. If you choose to pour your Oktoberfest beer into a mug, you'll enjoy a thick head of creamy foam accompanied by a complex aroma with hints of fruit, brown sugar, and molasses. There's also a kick of spice in the aroma. 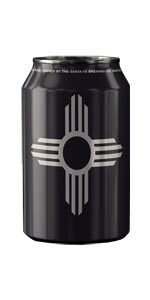 From Santa Fe Brewing this flavorful brew holds notes of chocolate and nuts with an easy drinking vibe. 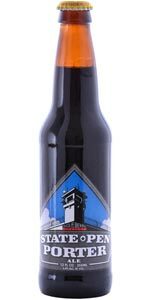 A trademark beer from master brewer Ty Levis, State Pen Porter is one of his favorites. 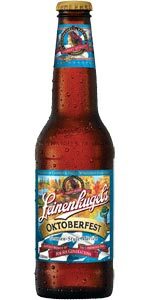 Every brewery must offer their unique take on a Märzen-style brew come the fall, and the Leinenkugel Brewing Company is no exception. 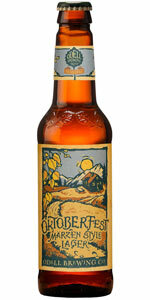 Simply named Oktoberfest, this beer is crafted in Wisconsin by brewers with an authentic German background. It's only available from August to October, so you may want to stock up if you enjoy beers that offer subtle hints of hops resting in the background of a strong malt profile. The flavor is sweet with a toasty quality, but you still get that bitter bite that makes drinking a fall beer worthwhile. It will pour into your glass with rich copper color, and it's a clear beer that is visually pleasing as well as satisfying on the taste buds. While you'll get limited white foam, it does settle down to a comfortable ring that sticks with your glass to the very last drop. A Summer beer that is crisp and clean with a malt body of distinction. Refreshing hops with boldness from Amarillo! Enjoy with Seafood dishes! 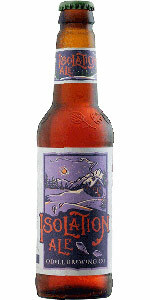 A traditional winter ale made with English hops with extra spices for the holidays. For skiers or first snow fans this celebrates those moments to remember. 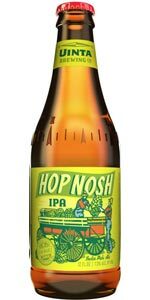 If you love your hops and enjoy sitting down with an unfiltered IPA from time to time, you'll want to keep Hop Nosh IPA within reach. This is the flagship IPA for the Uinta Brewing Company, so it's brewed in Utah and distributed to fans throughout the year. The presence of Chinook and Galaxy hops is made known from the strong aroma, but it's the intense taste that wins over most hop fans. The hints of pine and citrus fruits will grab your nose the moment you open the bottle, and the delicate balance that comes from C40 and Munich malts may impress you as well. From the thick off-white head with delicate lacing to the hints of grapefruit and lime in the aroma, this is a vibrant beer that gives you something to talk about. Is it any wonder that Hop Nosh IPA has earned Uinta Brewing six awards? This includes three medals from the Australian International Beer Awards. 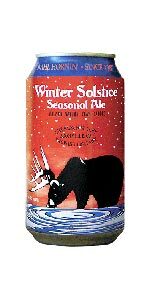 Winter Solstice Seasoned Ale is a great beer with wintery warm flavors that are rich and creamy with hints of toffee, spice and caramel - perfect ale to share with family and friends on those cold winter nights. Pair with pumpkin pie, roasted almonds and aged cheddar. The perfect holiday treat to warm up with a cold one or two! The caramel and chocolate malts are delightful and balanced nicely for a winter red ale. Do you know the intense satisfaction that comes from others emulating one of your biggest accomplishments? The brewers at Spaten know that satisfaction all too well because they were the crafters behind the world's first Oktoberfest beer. You'll find these beers saturating the market every fall, but Spaten remains the original. Brewed with a combination of Pilsner, Vienna, Munich, Caramunich and Aromatic malts, this is a smooth, caramel brew balanced out by Hersbrucker and Northern Brewer hops. Coming straight out of Germany in true Munich style, this beer starts off with a malty sweetness but delivers a nice touch of hoppy bitterness as well. It's a hearty drink that you can enjoy not only in the fall and winter but when you need to escape the real world during the warmer seasons as well. 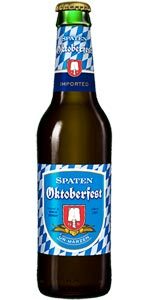 For a fun evening, pick up a bottle of Spaten and compare it to the other Oktoberfest beers circulating today. This little brewery shines on with this Old World Dunkelweizen brewed with peaches and roasted pecans this shouts Holiday Cheer!! Malt flavors shine throughout this dark wheat ale. The Pacifico Brewery opened in Mazatlán, Mexico, in 1900, and the brand took an international spin when surfers introduced it to the American market. 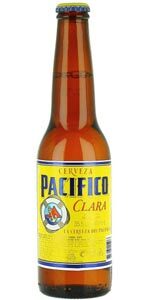 Pacifico Cerveza officially became a popular import to America in 1985, and the highly drinkable lager is now celebrated well beyond the beaches. You don't have to own a surf board to enjoy a bottle of this clear yellow beer, and it pairs well with everything from light, healthy dishes to spicy Latin cuisine. Crafted from malted barley, corn, filtered water, yeast and an unnamed strain of hops, this is a flavorful beer that allows you to indulge without feeling too heavy in the gut. The Pacifico Cerveza experience starts with a floral aroma and intense carbonation, but it's the spike of bitterness that may linger on your palate between sips. The malts definitely give this easy-going brew a sweet kick, so you end up with a nicely balanced everyday beer. This festive winter ale carries a warm spiciness to enjoy for the holidays. This bold beer is layered with flavors of dried fruit, toffee and hoppiness. Nut Brown Ale isn't your typical English brown ale. The Santa Fe Brewing Company put their own spin on this traditional style by turning up the mash temperature, incorporating hard water and brewing exclusively with one low-alpha acid hop, Willamette. The brewers also include a combination of some popular malts, including Chocolate, Two-Row Pale, Carastan and 30-371. The result is a dark beer that you can enjoy with hearty fall and winter meals, including flavorful stews and rich homemade soups. It also pairs well with barbecue and a variety of meats, so it could fit into your life during the warmer seasons as well. 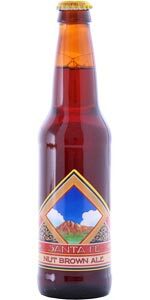 Nut Brown Ale has won five awards since 1991, including three "Best of Rockies" designations from the U.S. Beer Tasting Championships. Every glass starts with a thin head of foam and a nutty aroma, but this is also a good beer to enjoy straight from the bottle. 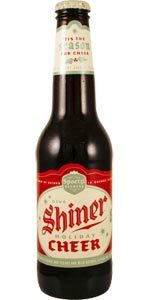 A gift beer wrapped in caramel and dark fruit malt flavors within a creamy Toasty brown ale. The recipe changes every year for the fun of the holiday season! !